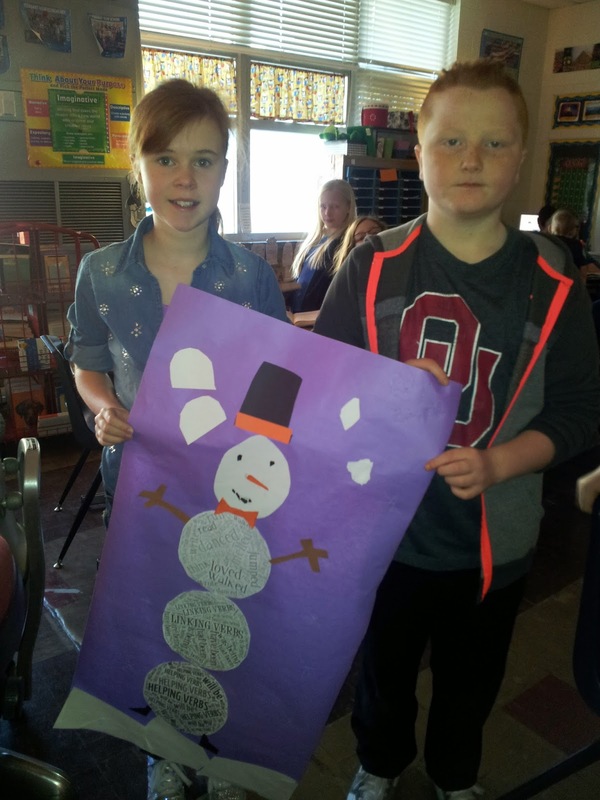 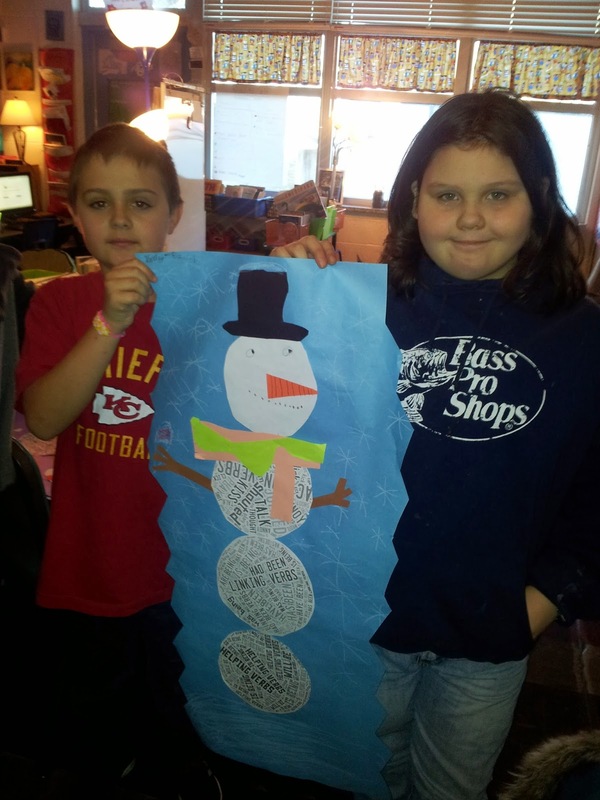 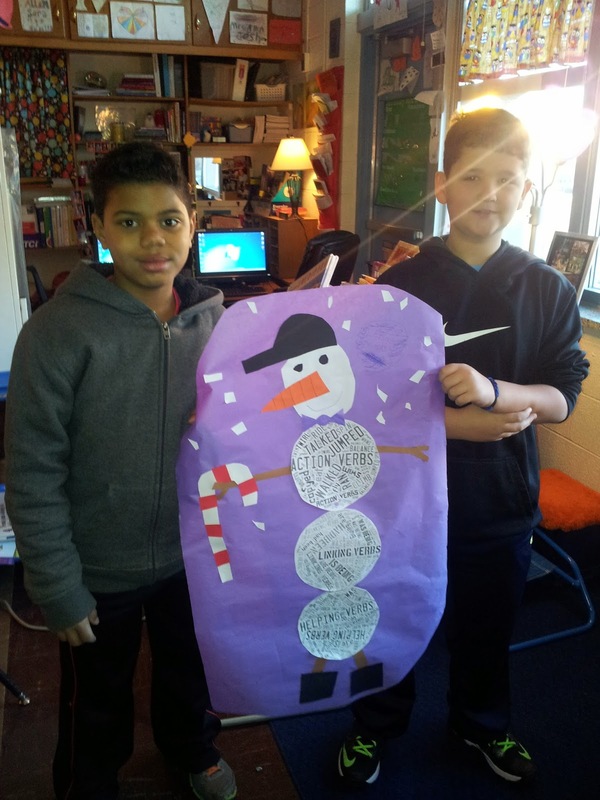 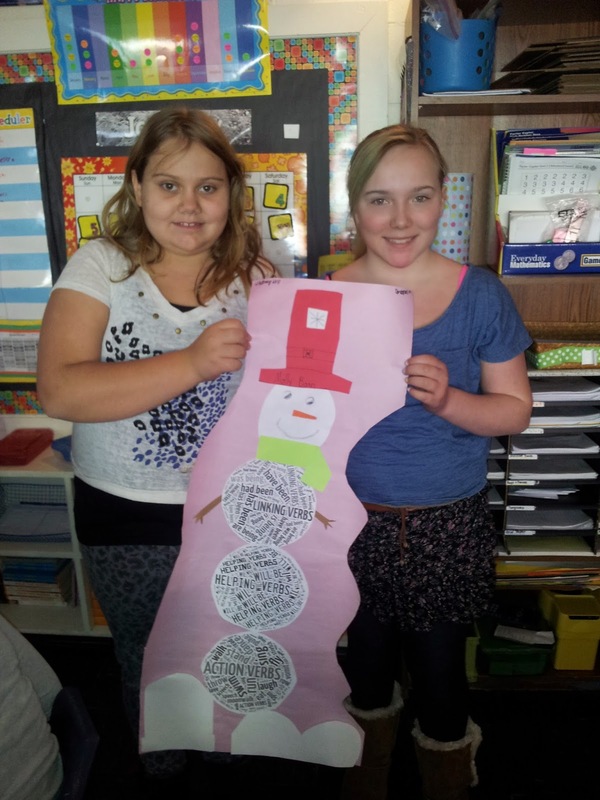 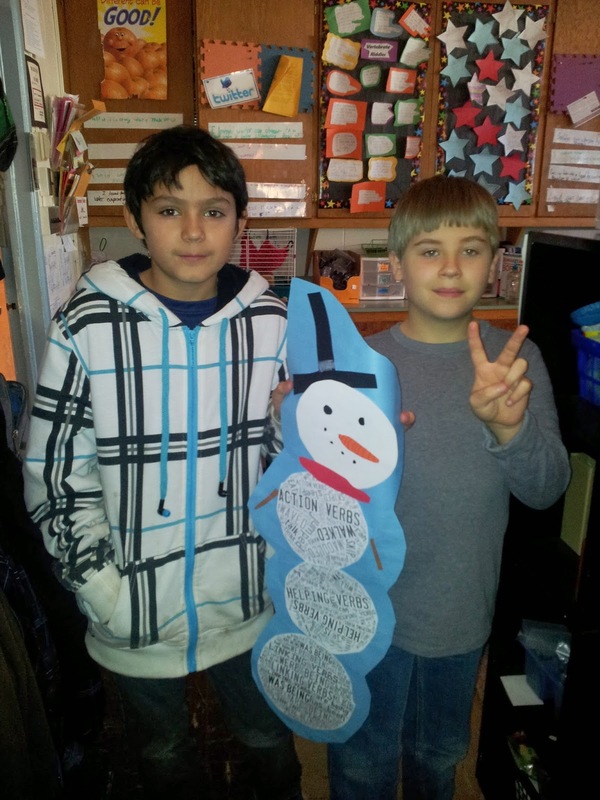 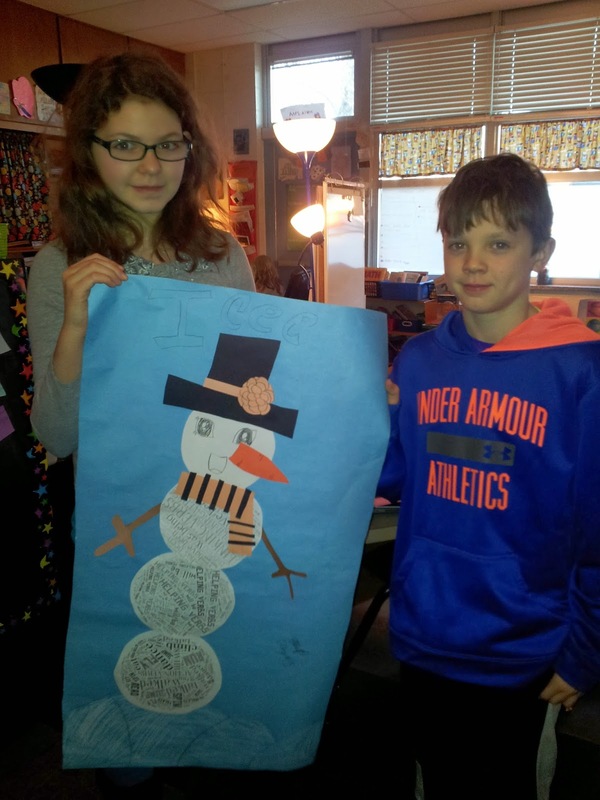 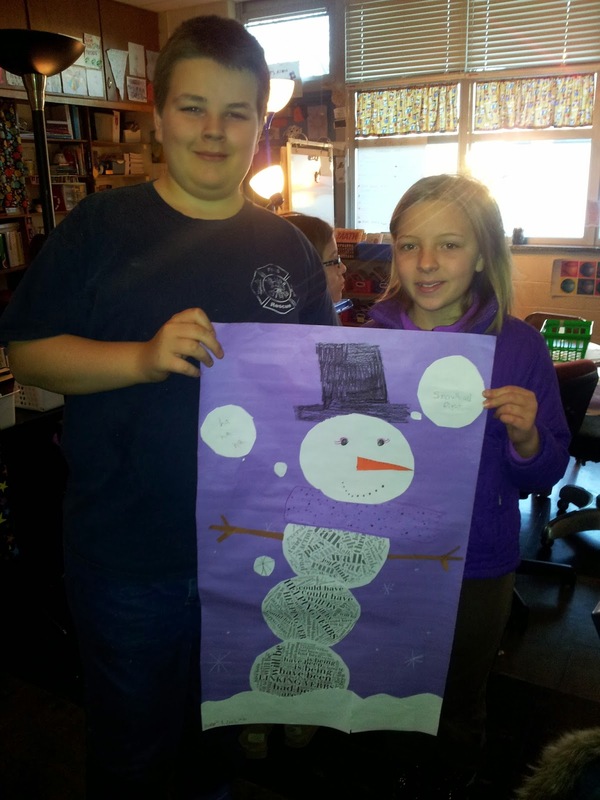 To help us review verbs, we generated verbs with our partners and created verb snowmen using Tagxedo (a word cloud website). 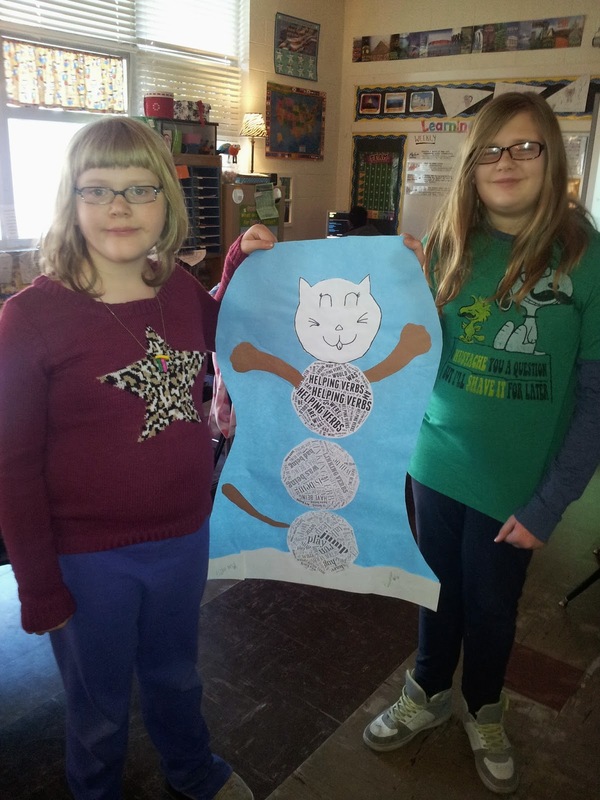 This project helped us re-familiarize ourselves with the types of words that are verbs and categorize verbs based on the three main types of verbs: linking, helping, and action. 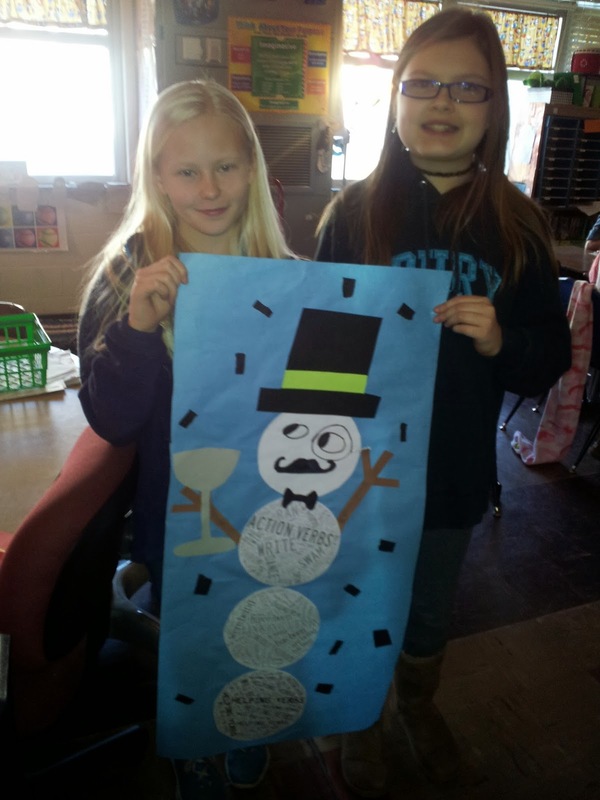 Action verbs are verbs that show action in a sentence (examples: jog, smile, bend, yell); linking verbs are verbs that connect the subject to extra information about the subject (examples: is, are, was being); and helping verbs help the main verb show different tenses (examples: is looking, are moving , were walking, will be asking).